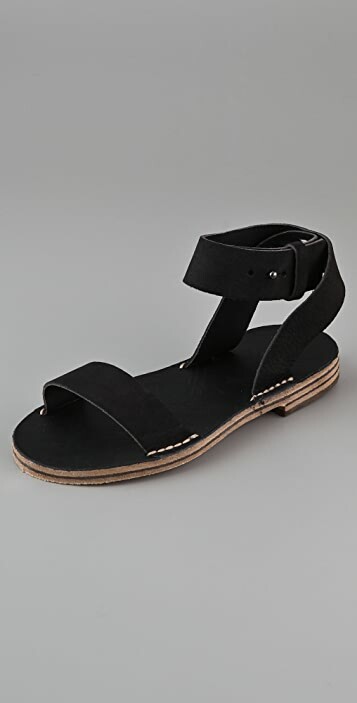 These leather sandals feature raw edges and a buttoned ankle strap. Leather sole. 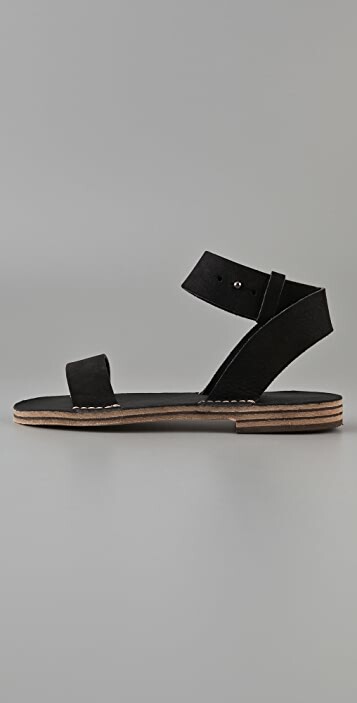 I was hemming and hawing a bit about these sandals - i think mostly because of the price. Couldn't I find something like these for half the price? Well the answer is "no!" 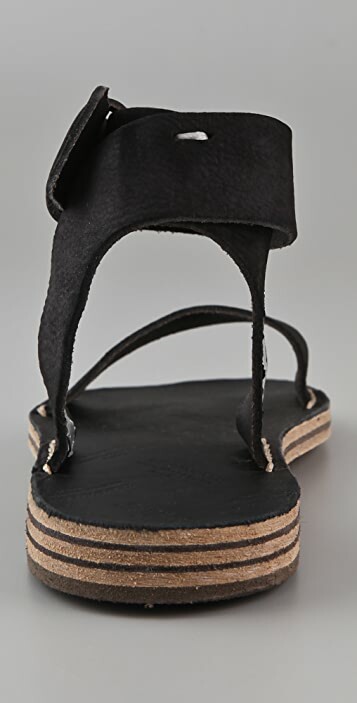 I looked and looked and nothing compared to these sandals if you are looking for a flat. They are perfectly tough to work with boyfriend jeans and still chic enough to go with dresses and maxi skirts. Beautifully cool design that I know I can wear for several years!